Judi Swartz holds BS and MA degrees in education. She has been a dance instructor for tap and ballroom at Vision Studio of Performing Arts in Mt. Pleasant since 1997 and at the Academy of Performing Arts in Alma since 2002. She has been the choreographer for six shows with Gratiot County Players. She enjoys attending dance workshops and classes to learn new combinations and technique. Judi retired in 2007 from Mt Pleasant Public Schools after 34 years in education. She is currently a graduate student in Health Fitness at CMU. 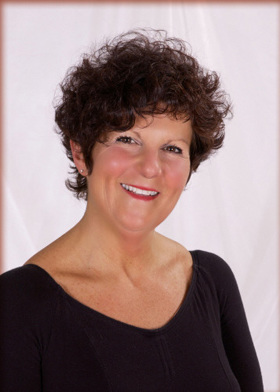 Judi has been an aerobics instructor at Wellness Central Fitness since 2002, and also an aerobics instructor at Nimkee Fitness Center, and a group exercise instructor at Morey Courts. She is certified in a variety of fitness forms: Personal Trainer through Aerobics and Fitness Association of America (AFAA); Primary Group Exercise and Kickboxing from AFAA; Examiner for AFAA, adjudicating practical exams for new aerobics instructors; Turbo Kick and PiYo from Powder Blue Productions; Muscular Strength and Range of Motion, and Cardio Circuit and Yoga Stretch for the Silver Sneakers Program; Zumba and Zumba Toning. Judi is also a national presenter for Zoo-phonics Inc., doing trainings for teachers of pre-school and early elementary students. As you can see, she is a ‘life long learner‘as well!